"Timmy" is an easy going puppy - nothing seems to upset him. At Timmy's latest show in Sydney I had six people offer to take him home including two young ladies from Japan. These young ladies could not get over how calm Timmy was with everyone. Great testament to the dogs temperament. 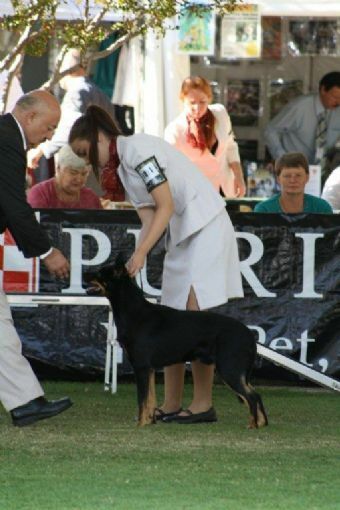 At his first show "Timmy" won Baby of Breed. Looking forward to getting "Timmy" out and about. 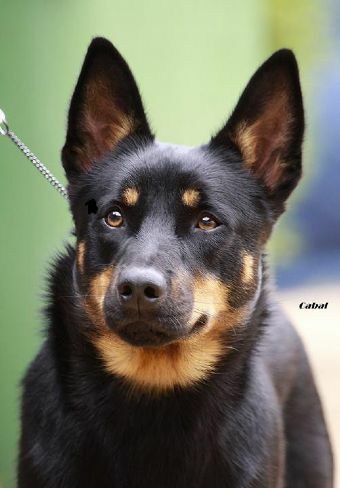 Thank you to Cass Finlay of Ringbarka Kelpies for letting us use "Jet". Thank you to Jaime and Brendon from NoseArt Photography for the lovely photographs of the puppies. 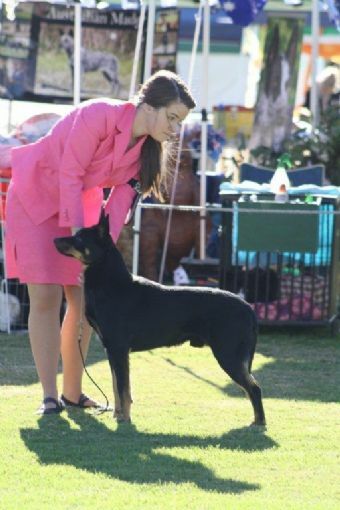 Sydney Royal 2013 Jemma handling Timmy in Junior Dog Class. Well done Jemma and Timmy great work you both make a great team together. Photograph courtesy of Gail Ingesoll - Ingenue Border Collies. Thank you Gail for the lovely photographs.